• Manage projects in support of corporate policies, processes and enhance performance, improve productivity and unlock passion of our staff. • Design and execute a change management strategy to communicate the purpose, vision, strategy, projects and results of the BFOT transformation to all staff (includes process owners and users) in SportSG and engage staff through the various stages of change acceptance. • Connect and mediate between users and policy/ process owners to surface mental models, generate innovative solutions and implement changes within the organization. • Engage staff in various settings to have a sense of the current reality, address concerns, communicate vision, and bring them along the transformation journey. • Collaborate across groups to develop Leaders, Teams and Individuals. Help build the knowledge, skills and attitude they need to be more effective in transforming the way we work. • Be competent in the use of Organisation Development and Change Management theories and tools. • Be a coach to fellow colleagues in specific knowledge and skills. • Engage individuals on co-creation and co-ownership of the solutions and help everyone believe they are a leader and can effect changes from where they are. • Nurture an inspiring, innovative and collaborative culture in SportSG to improve the effectiveness of the organization. Be a role model, change agent and set the frame for culture building. • Act as point of contact for BFOT Core Team and lead BFOT Task force in investigations, solutions and BFOT projects implementation. • Support BFOT Core Team coordination work and drive project management of BFOT Task Force(s) as appointed. • Support for PST (Public Sector Transformation) Digital Workplace and People sub-committees. • A strong believer in the ability of Self to making a difference to others and the organization The level of offer will commensurate with applicant’s experience and track records. A statutory board of the Ministry of Culture, Community and Youth, Sport Singapore’s core purpose is to inspire the Singapore spirit and transform Singapore through sport. Through innovative, fun and meaningful sporting experiences, our mission is to reach out and serve communities across Singapore with passion and pride. With Vision 2030 – Singapore’s sports master plan, our mandate goes beyond winning medals. Sport Singapore uses sport to create greater sporting opportunities and access, more inclusivity and integration as well as broader development of capabilities. At Sport Singapore, we work with a vast network of public-private-people sector partners for individuals to live better through sports. 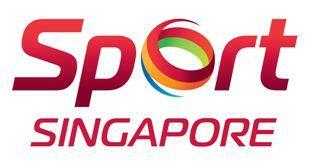 We are a passionate organisation who aspires for Singaporeans to live a better quality of life through Sport.